Award-winning filmmaker and MacArthur "genius" Fellow Stanley Nelson is known for making historic documentary films. He does an impeccable job capturing personal experiences and sentiments of a particular era. Whether the film is The Murder of Emmett Till, Jonestown: The Life and Death of People's Temple or Freedom Riders, viewers gain a deeper understanding and knowledge of the given period in history. But Nelson did not intentionally focus on making this type of film. "I just fell into a niche of doing historical documentaries and I became known for it," he says. Masterfully crafting films through interviews, archival footage and audio recordings, Nelson delves deep into lives and events that history books often neglect. The beauty of Nelson's latest film, Freedom Summer, is his ability to craft an engaging story. Based very loosely on the book by writer/historian Bruce Watson entitled Freedom Summer: The Savage Season of 1964 That Made Mississippi Burn and Made America a Democracy, the film is packed with many surprising stories. "You can't put in nearly as much detail and tell all of the stories you can tell in a book," Nelson explains. The film layers less familiar stories with more known ones and masterfully weaves together storylines using audio conversations, archival photos, illustrations, inspiring interviews with dynamic subjects, original letters read on camera, and freedom songs. Nelson shares the credit for finding those rare photos and other material with his team. "We start looking for audio and footage from the first day of production, and this production took a year and a half," he says. Communication and the constant effort of discovering new material is a priority for his films. "If you see something that you like, no matter who you are on the team, let us know it's there and that it exists," he asserts. With that mindset, Nelson's Firelight Media team ended up with 5,000 photos in its database. 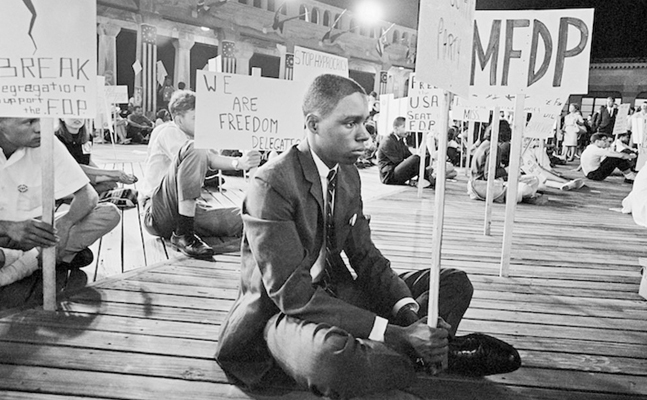 The so-called "Freedom Summer," which happened 50 years ago, was a time of fear. The black residents were intimated by the unfair voter registration testing process, and they feared violence, the risk of being fired and even death. The local segregationists feared black people taking over if given the opportunity to vote, so organizations like the Citizen's Council maintained the status quo. The student volunteers, once optimistic and naïve, now feared violent retaliation. President Lyndon B. Johnson feared losing the support of the South and the upcoming presidential election. Nelson tells the stories of the residents, volunteers and activists who overcame their fear to fight for civil rights and helped to change the country. "A lot of times, the story of Freedom Summer is told as one story—the story of the volunteers who go down to Mississippi—and that's an incredible story," he says. "What we fought to include and give the weight it deserved was also the story of the Mississippi residents, the people who, for 100 years, tried to have the right to vote, and who let people into their houses and did this incredibly brave thing—and had to stay behind in Mississippi after the summer was over. We really wanted to make sure people understood their story and the story of the Student Nonviolent Coordinating Committee (SNCC) workers like Bob Moses and others who were down there early on by themselves, and their call and why they needed Freedom Summer." 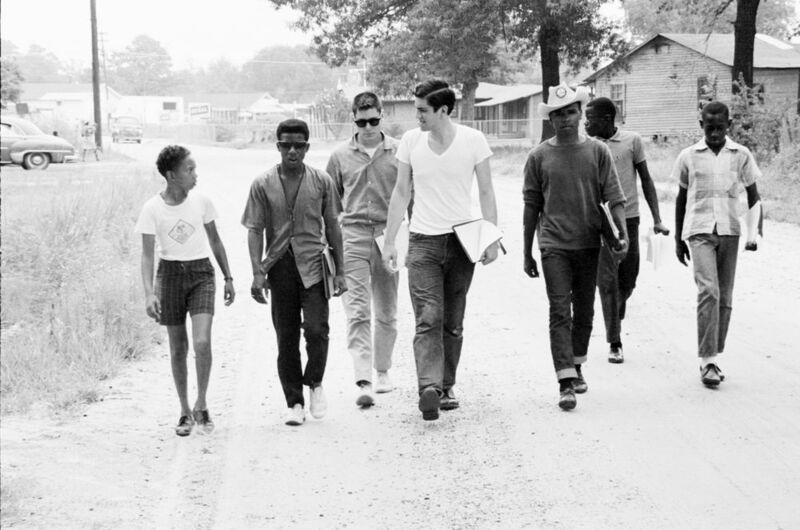 The Mississippi Summer Project, now known as Freedom Summer, was led by Bob Moses, SNCC field secretary and co-director of the Council of Federated Organizations (COFO). After a couple years of trying unsuccessfully to get a larger number of blacks registered to vote, this campaign was started to bring more attention to the violence and injustices taking place in the state. At the time, less than seven percent of Mississippi-based African-Americans were registered voters, compared to 50 to 70 percent in other Southern states. Driven by that stark reality, white students from the North disbursed throughout the counties in Mississippi and joined black Mississippians in this grassroots movement. The students came from various parts of the country and were trained at Western College for Women in Oxford, Ohio, by SNCC. The volunteers lived with local black families for 10 weeks from June to August. 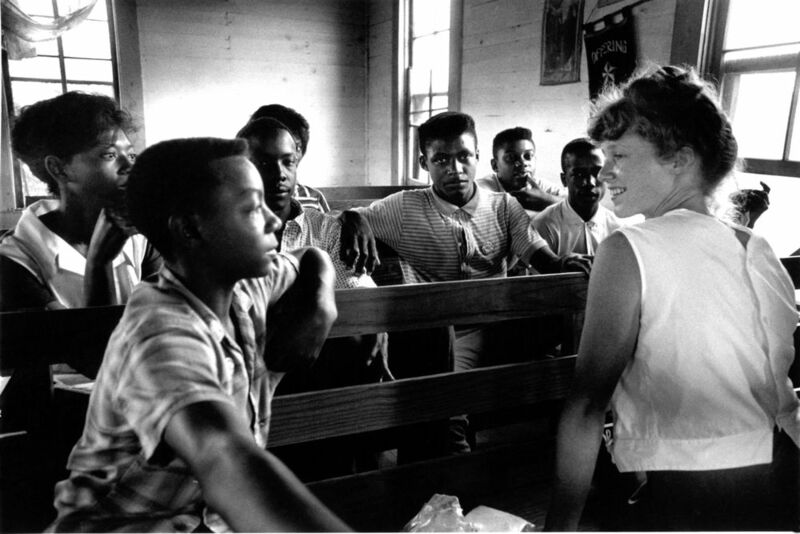 The three components of Freedom Summer were (1) voter registration, in which volunteers traveled door-to-door to get people to register; (2) Freedom Schools, where volunteers taught subjects that blacks weren't allowed to learn about, like culture, history and literature; and (3) the Mississippi Freedom Democratic Party, which was designed to sign up and send delegates from the movement to the Democratic National Convention in Atlantic City, New Jersey, with the goal of unseating the all-white Mississippi delegation. Two more stories anchor Freedom Summer: those of Rita Schwerner Bender and Fannie Lou Hamer, two heroines impervious to fear. When Bender's husband, Mickey Schwerner, and two other volunteers, James Chaney and Andrew Goodman, went missing after leaving early in the summer to investigate a church bombing, she was intent on finding answers. She spoke to the media and got people to pay attention. 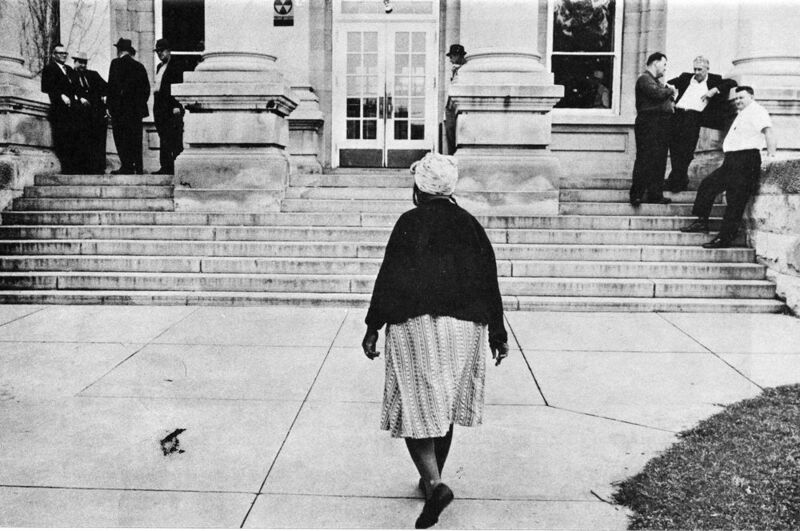 She went to the White House to meet with President Johnson, and she demanded additional help in finding the three men. "We always wanted Rita to be a central figure in the film," Nelson says. "Part of our challenge was to get her to agree to do the interview. She doesn't do a lot of interviews, and she added an extra dimension to the film." Bender's unwavering persistence angered President Johnson, evident in the recorded conversation with FBI Director J. Edgar Hoover, in which the president deemed her "worse than a communist." But Johnson did send sailors to help find the missing men, and the bodies of Chaney, Goodman and Schwerner were later discovered by the FBI in an earthen dam. Fannie Lou Hamer—a Mississippi native, a sharecropper and the youngest of 20 children—was beaten by the police for attempting to register to vote. "She's got Mississippi in her bones," Moses says in the film. An exceptional speaker, Hamer was a highlight at the Democratic National Convention. Moses explains in the documentary, "The President, Lyndon Johnson, he's not afraid of Martin Luther King's testimony; he's afraid of Fannie Lou Hamer's testimony and decided that the country should not see her testify." Johnson called an impromptu press conference at the time Hamer was scheduled to speak, but Hamer made such a great impact at the convention that the media replayed her speech over and over again. "When we realized the footage exists of her speech, and it's incredible, we then had to figure out how we can heighten her and give the audience a feeling of her journey and who she is before that speech," Nelson says. Change for Mississippi and the rest of the country grew out of the fear that summer. The Mississippi Freedom Democratic Party rejected the proposal of two seats by the credentials committee during the Democratic National Convention. "When we were organizers, that was okay," civil rights activist Julian Bond states in the film. "But when we tried to have power, the power rose up and knocked us down." They went back to Mississippi empowered and more determined than ever to secure the right to vote. "The Voting Rights Act of 1965 got its birth during Freedom Summer," author Bruce Watson continues in the film. "It was signed in August of 1965 and one of the most important things it did was abolish literacy tests, and it put voting in seven Southern states under federal supervision. That, above all else, is the legacy of Freedom Summer. It really changed American politics. By the end of the year, 60 percent of blacks in Mississippi were registered to vote." In concert with the 50th anniversary of Freedom Summer in June, PBS' American Experience will rebroadcast Nelson's 2010 film Freedom Riders June 17, and Freedom Summer will air June 24. "During the summer, we are working with a number of different groups to get the film around and to get younger people involved because we are still in the struggle for voters' rights," Nelson says. Up next for Nelson: a three-part series for PBS entitled America Revisited, which will roll out one film at a time, beginning in 2015 with a program on the Black Panthers; continuing in 2016 with the story of Historically Black Colleges and Universities (HBCU); and concluding in 2017 with a four-hour examination of the business of the Atlantic Slave Trade.